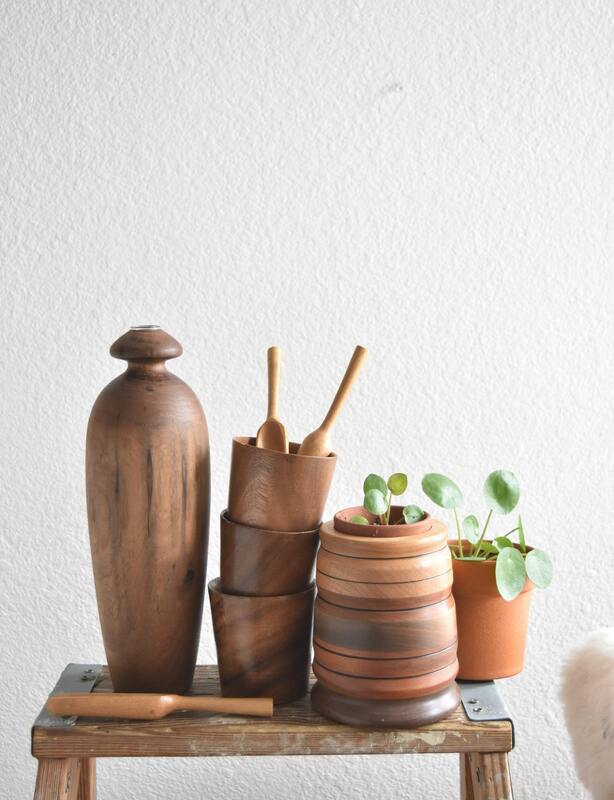 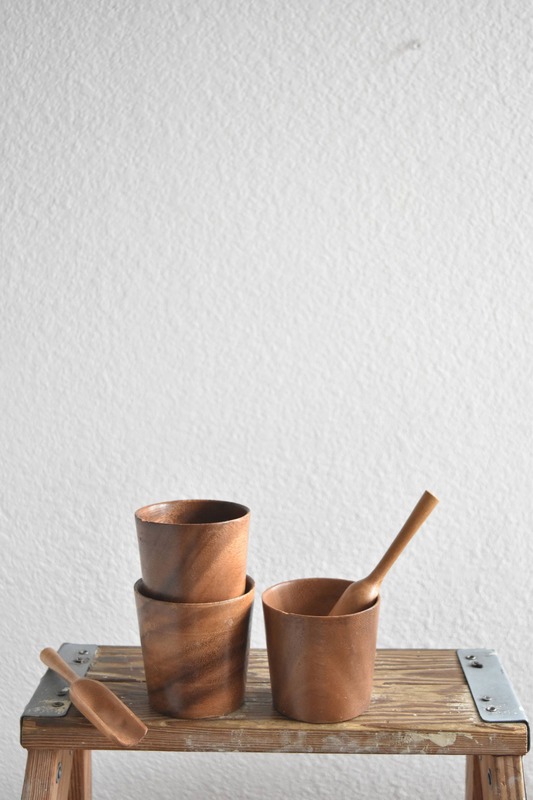 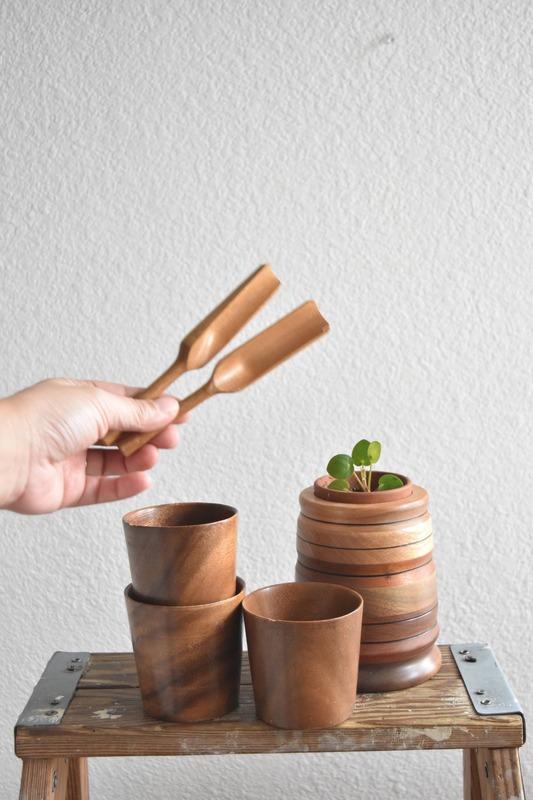 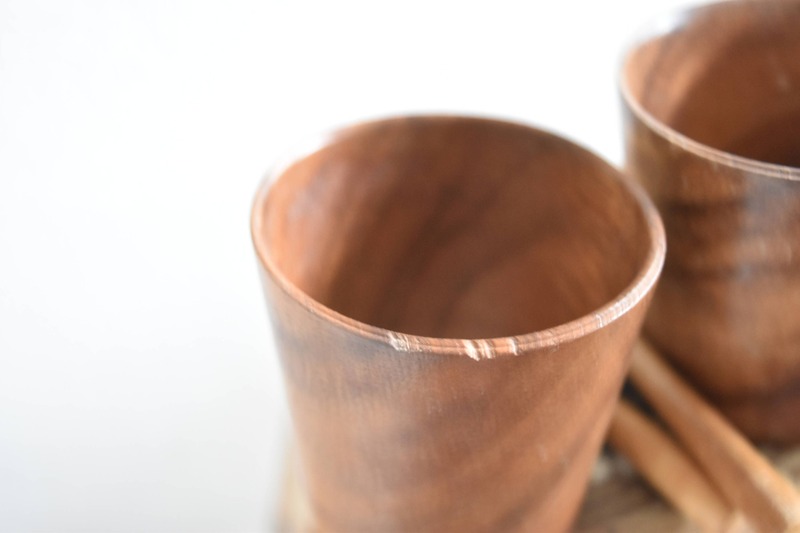 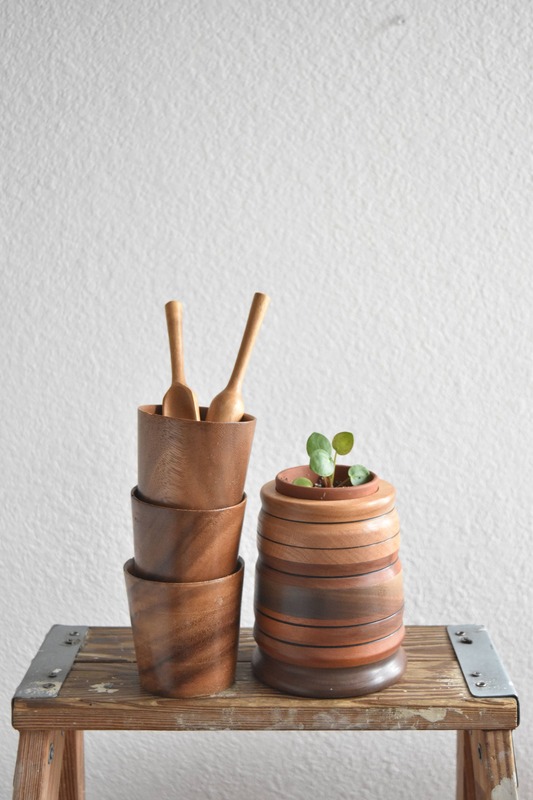 Nice looking set of solid wood cups and mini scoopers. 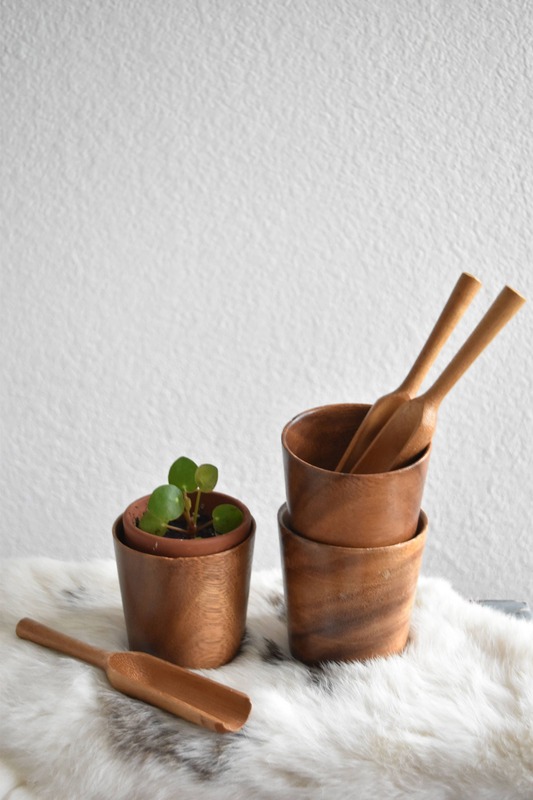 3 matching cups and 3 spoons. 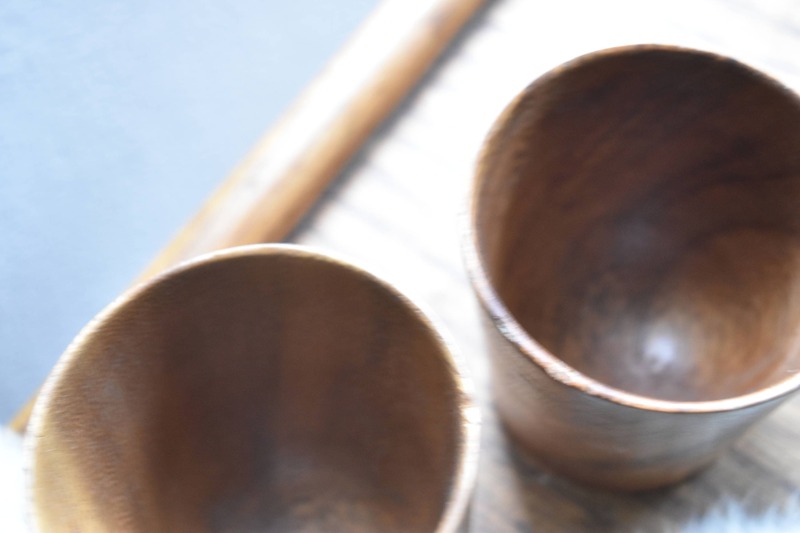 In good condition with some scratches and scuffs.